Karl Beckstrand is the bestselling and award-winning author of 18 multicultural/multilingual books and more than 50 e-book titles (reviews by Kirkus, School Library Journal, The Horn Book blog, ForeWord Reviews). Raised in San Jose, CA, he has a B.A. in journalism from BYU, an M.A. in international relations from APU, and a broadcast &amp; film certificate from Film A. Academy. Since 2004 he has run Premio Publishing. A college media instructor, Beckstrand has presented to Taiwan&#x2019;s Global Leadership for Youth, city and state governments, festivals, and schools. Beckstrand's nationally lauded Y.A. stories, e-book mysteries, ESL/ELL Spanish/bilingual books, nonfiction, and wordless books feature ethnically diverse characters&#x2014;and usually end with a twist. His work has appeared in: Amazon, Barnes &amp; Noble, Border&#x2019;s Books, Costco, Deseret Book, iBooks, The Children&#x2019;s Miracle Network, LDS Film Festival, the U.S. Congressional Record, Papercrafts Magazine, and various broadcasts. 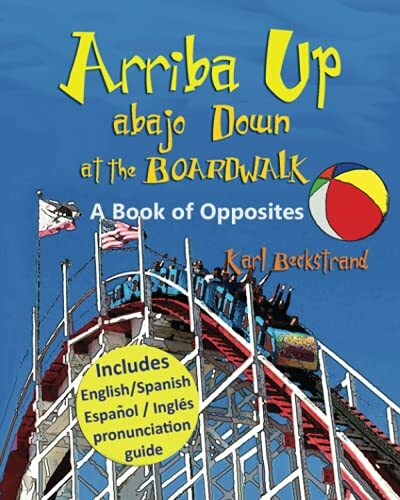 FB, Twitter, http://KarlBeckstrand.com, http://PremioBooks.com H&aacute;bil en espa&ntilde;ol tanto como en ingl&eacute;s, Karl Beckstrand naci&oacute; en San Jos&eacute;, California. Vivi&oacute; durante dos a&ntilde;os en Sudam&eacute;rica y ha ense&ntilde;ado ingl&eacute;s. Obtuvo su t&iacute;tulo en periodismo por la Universidad de Brigham Young en Utah. Sus libros contienen actividades de b&uacute;squeda, de contar, de lenguaje o de cocinar. Muchos incluyen protagonistas Hispanos, una gu&iacute;a de pronunciaci&oacute;n en ingl&eacute;s y espa&ntilde;ol, y sorpresas. &#x201c;Siempre intento incluir un mensaje de coraje, o del valor de compartir&#x201d;, dice. Tiene 16 titulos y en Amazon y ha escrito contenidos para The Children&#x2019;s Miracle Network, las revista PaperCrafts, The Congressional Record of the U.S. House of Representatives, el diario The Daily Universe, y radio. Busca &#x201c;Karl Beckstrand &#x2013; Author&#x201d; en Facebook y twitter.